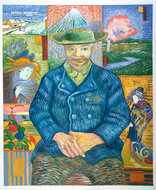 An enticing interplay between Japanese etching and Neo-impressionism. This is a portrait of Agostina Segatori, a muse to Corot, Gérôme, and Manet, and also a one-time love interest of Van Gogh. 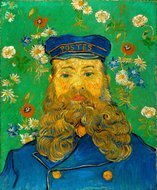 By closely studying Van Gogh’s painting techniques, his brush strokes and colour patterns our artists replicate the beauty and emotion that Vincent Van Gogh used to be able to portray through his work. 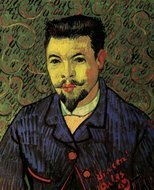 While residing in the city of Paris during 1886-1888, Vincent Van Gogh was drawn by the colour theories of neo-impressionist art and the stylistic intricacies of Japanese etching. It was also during this time that he met Agostina Segatori, the proprietor of Café du Tambourin. Segatori modelled for many famous painters, namely, Édouard Joseph Dantan, Jean-Baptiste Corot, Jean-Léon Gérôme, Eugène Delacroix, and Édouard Manet. 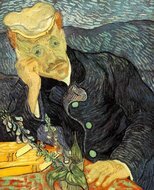 Van Gogh and Agostina Segatori were involved in a short-lived and torrid love affair. 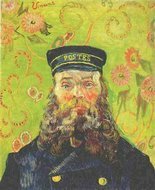 However, she was important enough to Van Gogh for him to mention her in two of his letters to Theo Van Gogh, his younger brother, who used to help Van Gogh monetarily and constantly encourage him to keep painting.